A Developer Vesta Hospitality is putting the finishing touches on its plans for The AC Hotel by Marriott, which is slated to occupy one of the main lots at Terminal 1, the riverside redevelopment site owned by the Port of Vancouver. The new building will be at the corner of Esther Street and Columbia Way, two blocks west of the shuttered Red Lion Hotel Vancouver at the Quay building, which will be demolished as part of the Terminal 1 project. The project is still several months away from breaking ground, but Vesta Hospitality CEO Rick Takach says the company is ready to take some of the wraps off the design. The seven-story building will include 150 guest rooms and approximately 4,000 square feet of meeting and events space, Takach said, including office space on the top floor with a corporate meeting room. The ground floor also includes a small retail space that Takach said he intends to lease to a coffee shop or similar amenity. Instead of underground parking, the hotel will feature a garage hidden inside the second and third floors of the building, which Takach said proved to be the more cost-effective option and avoided the challenge of preventing underground water intrusion due to the site’s proximity to the Columbia River. Some of the southern-facing rooms will overlook the roof of the garage, which Takach said Vesta hopes to turn into a usable area with features like a hot tub and seating. The hotel has a 25-year franchise agreement with Marriott and will operate under the company’s AC Hotels brand. 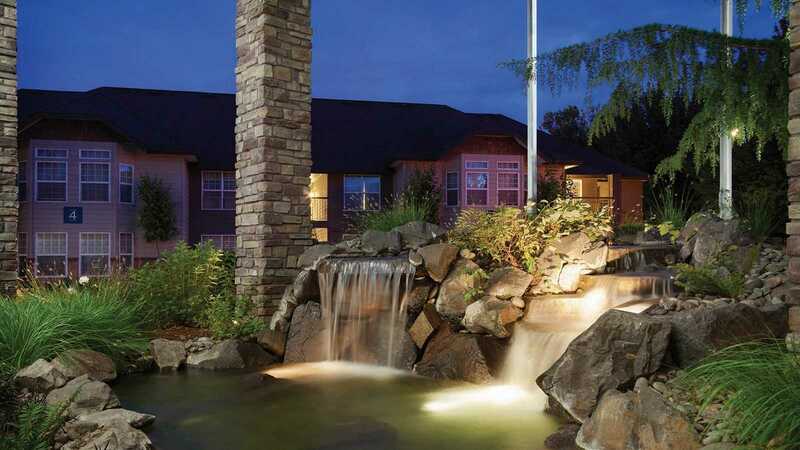 The brand choice was an important issue for officials at the port, Takach said, because they didn’t want the new hotel to directly compete with the nearby Hilton Vancouver Washington. The AC Hotel chain originated in Spain in 1998 and spread throughout Europe before being acquired by Marriott in 2011 and brought to the North American market two years later. “AC” are the initials of the company’s founder, Antonio Catalan. AC Hotels include distinctive features such as 9-foot ceilings and hardwood floors in the guest rooms, and a food service that emphasizes beverages and European-style breakfasts. The AC brand will appeal more to high-end corporate gatherings, he said, whereas the Hilton’s larger event spaces can better serve events with more people. Takach says he’s paying close attention to the hotel’s surroundings, and it’s already prompted him to adjust the design; early plans called for a rooftop restaurant at the AC, he said, but the idea was eventually dropped due to the large number of existing and planned restaurants in The Waterfront Vancouver development. The Hilton is the only hotel in the downtown area, but that’s set to change in the coming years. Right next door to the AC site, construction is underway on the boutique Hotel Indigo, set to open in 2020. Local developer Ryan Hurley has also submitted plans for another 120-room hotel on Washington Street, one block away from the Hilton. The building is being designed by the Kansas-based architecture firm DLR Group, which has designed more than 20 AC Hotels worldwide. Marriott had the biggest say in the design process, Takach said, but the port and city of Vancouver also had a lot of input, and Takach and others at Vesta Hospitality weighed in with their own goals for the project. The building will have gold-level LEED certification, Takach said, which was one of the port’s goals for the project. The glass in some of the building’s windows will also be engineered to be more visible to birds, in order to prevent collisions. Takach has been a resident of Vancouver for 22 years, and he said his goal is to create a high-quality building that will enhance the city and endure for decades. The design uses concrete and steel instead of wood in order to increase the hotel’s lifespan, he said. The $50 million project will be partially financed by investors taking advantage of the newly designated opportunity zone in downtown Vancouver. Opportunity zones are an investment tool created by the 2017 federal Tax Cuts and Jobs Act that allow investors to defer capital gains taxes on qualified Opportunity Funds, which are invested in approved local zones. The investment push is scheduled to kick off tonight at an event where Vesta Hospitality and representatives from Fairway America, the project’s investment fund manager, will meet with interested investors and outline the details of the project and the opportunity zone regulations. The investment fund is expected to raise about $16.4 million of the total, according to Fairway America partner Darris Cassidy, with the remainder of the funding coming from construction loans, although all of the budget numbers are still preliminary. Seven opportunity zones have been designated in Clark County, but Cassidy said the downtown zone offers access to projects like the AC Hotel that wouldn’t be possible in other areas. “It’s a unique opportunity — no pun intended — to build it on the waterfront,” he said. Takach said the use of the zone is a lucky coincidence — the port selected Vesta’s bid to build the hotel project in August 2017, four months before the Tax Cuts and Jobs Act was signed into law and eight months before the downtown Vancouver Opportunity Zone was approved. But during the early stages of the planning process, the developers learned that the ground under the site included a significant amount of fill material, and the entire area’s proximity to the Columbia River made it susceptible to soil liquefaction during an earthquake. “As it is today, it can’t support the weight of the hotel,” he said. The site will require an estimated $3 million of ground stabilization work before construction can begin in earnest, Takach said, and there are contingency funds in place in case more ground issues crop up once the stabilization work gets underway. It took about 10 months to design the ground stabilization plan, Takach said, and the rising costs of the operation began to threaten the entire project’s financial viability. But then the opportunity zone happened to pop up during the delay period, offering a new financing option. With the design work wrapping up, Takach said Vesta will soon begin the process of securing permits from the city. The goal is to break ground later this year and be “fully under construction” by the end of the year, he said, although preliminary work such as ground stabilization will be underway in the coming months. The hotel is targeted to open in the spring or summer of 2021, depending on how the project progresses. 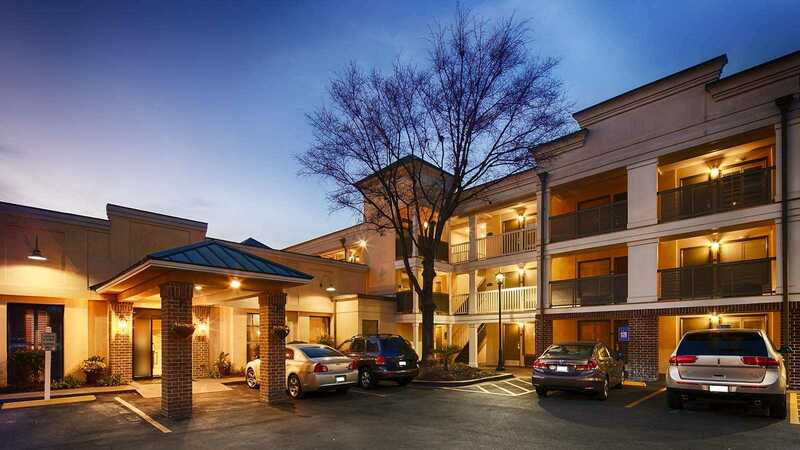 COLUMBUS, OH—Many factors go into the financial wheeling and dealing of the hospitality sector. One of the most important is finding the right partner. A handful of chief executives from top owner/operators convened during the recent BITAC® Symposium 2017 to discuss current industry conditions and provide a glimpse into what they see in the near-term future. A panel entitled “What Lies Ahead For The Lodging Industry” (featured right to left in photo) Rob Winchester, President and COO, Waterford Hotel Group., Inc.; Rick Takach, Chairman and CEO, Vesta Hospitality Group; Mike Marshall, President and CEO, Marshall Hotels & Resorts, Inc.; and Mike Hines, Chairman and CEO, HP Hotels, Inc. The executives were in full agreement that RevPAR growth has slowed considerably with each of their individual company projections for the remainder of 2017 and 2018 falling in the 2 to 4 percent range. Vancouver Business Journal - December 23, 2016: Vancouver-based Vesta Hospitality has achieved much success in creating this kind of hospitable atmosphere in each of their properties. In the last 20 years of business, the company has owned or managed 35 properties nationwide, and today their portfolio consists of 12 active properties with another under development. 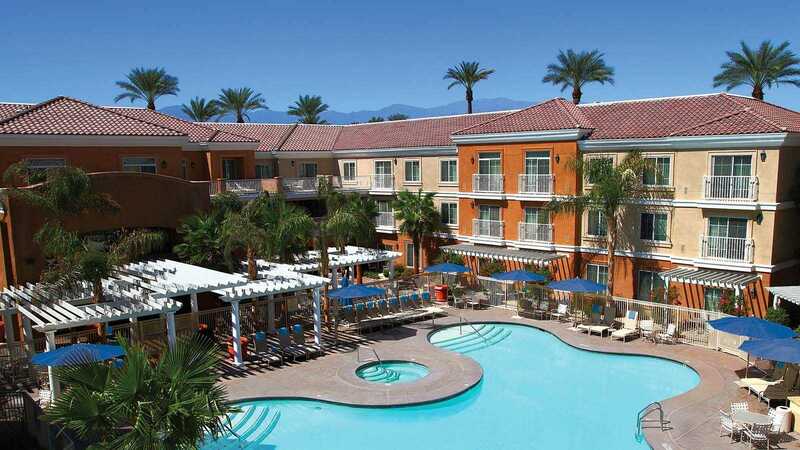 They represent both branded and independent properties, from extended stay to full-service and resort properties. Not only is Vesta Hospitality celebrating 20 years of being in business, it’s also boasting the upcoming lease of a public-private partnership project in its hometown, new acquisitions in a neighboring state, and reminding leaders in the hospitality space to always give back to organizations in surrounding communities. Vesta Hospitality owns or manages hotels throughout the West, but it has only one in its own backyard of Vancouver. That will change within the next couple of years with the Port of Vancouver’s selection of the little-known company to develop, own and operate a new hotel at the port’s Terminal 1, just west of the former Red Lion Hotel Vancouver at the Quay. The hotel will be an AC Hotel by Marriott, a growing brand that is only now moving into the Portland region.